We are pleased to present Volume III of the 2018 issue of the Veterans Law Journal. Click here to view it, or go to our Publications page for current and back issues of the VLJ. 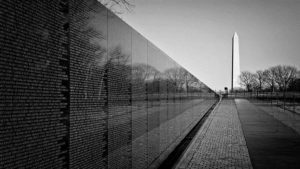 Please join the CAVC Bar Association on Saturday, Sept. 29, 2018, to wash the Vietnam War Memorial. Start time: 6:30am. Meeting location: entrance of the memorial. To register, please email megan.kral@va.gov. Some of our content is unavailable while we update our site. Please check back soon!